Posted on 10, August 2016 by EuropaWire PR Editors | This entry was posted in Energy, Gas & Oil, Management, United Kingdom and tagged Gunther Newcombe, Lloyds Register, Oil & Gas Authority, Phil Edwards, the UK Continental Shelf, UKCS. Bookmark the permalink. Lloyd’s Register has secured 2 of the 4 major UKCS projects recently tendered by the Oil & Gas Authority (OGA) for the UK Continental Shelf (UKCS). The contracts are for the provision of Regional Exploration Maps and Regional and Field Support Engineering Services. LONDON, 10-Aug-2016 — /EuropaWire/ — Technical expertise and productivity strategies provided by the Reservoir Services and Development Solutions teams of Lloyd’s Register will help OGA work towards its goal of maximising the economic recovery of the UKCS’s oil and gas reserves. OGA has named Lloyd’s Register, a provider of integrity, compliance and specialist risk consulting services, as its trusted supplier for the Regional Exploration Maps and Regional and Field Support Engineering Services bids for the UKCS. For more than 9 years Lloyd’s Register has provided to the Department for Business Energy and Industrial Strategy (BEIS), formerly Department of Energy and Climate Change (DECC), a range of assurance services, and for 20 years has advised on reservoir related activity and facility studies. 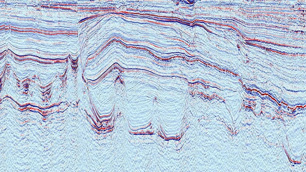 With the acquisition of LR Senergy, Lloyd’s Register has increased its depth of capability, and now incorporates experienced subsurface, wells and facilities experts with a heritage of delivering technical projects, both in the UK and internationally. These projects span the entire life cycle of the hydrocarbon business, from reservoir to refinery, and the full spectrum of technical expertise required for their execution. “The range of projects that we successfully deliver demonstrates the breadth of services we can provide, and also our versatility from a review lasting days to multi-year, integrated projects that span the whole cycle, and from initial exploration and appraisal through to preparation of all aspects of a complete field development plan and implementation,” says Edwards. The new OGA has a role to regulate, influence and promote the oil and gas industry to achieve its principal objective of maximising the economic recovery of UK offshore oil and gas resources. In its Corporate Plan 2016-2021, the OGA describes priorities and plans incorporating actions from its Call to Action Report and the Wood Review, in support of its ambition to be a world leading regulator, and setting the framework for a sustainable and competitive UK oil and gas industry. Gunther Newcombe, OGA Exploration, Production and Decommissioning Director, said: “In order to fulfil OGA’s goal to maximise economic value of the UKCS, it is vital we can independently assess remaining undiscovered resources and improve our geotechnical understanding. Lloyd’s Register was chosen for these contracts based on its in-house technical excellence, breadth of experience globally and regulatory insight.